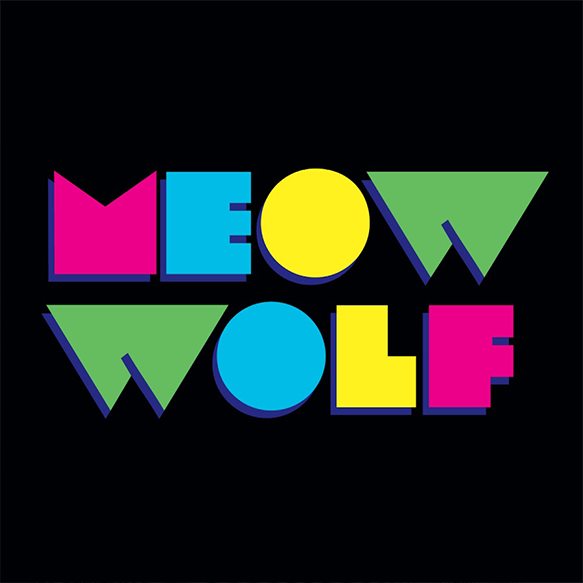 Meow Wolf is an arts and entertainment group based in Santa Fe, New Mexico. They established in 2008 as an art collective. Meow Wolf creates immersive and interactive experiences that transport audiences of all ages into fantastic realms of story and exploration. This includes art installations, video and music production, and extended reality content. They champion otherness, weirdness, challenging norms, radical inclusion, and the power of creativity to change the world. Meow Wolf firmly believes that accomplished artists must be compensated on an equal level with other skilled, in-demand professionals, and that successful businesses must give back to — and participate energetically in — their communities. They provide financial assistance, expertise, and other forms of active support, and are excited to support innovative, community-focused art and social projects. Meow Wolf comes out of a dumpster-diving, DIY past, and wants to help emerging artists and art communities around the world. Why did Meow Wolf succeed, and could it happen again in your back yard? This talk covers the early history of Meow Wolf as an art collective, the unique community that supported it and the lucky breaks along the way to organization. Special emphasis on the DIY technological aspects of immersive art.